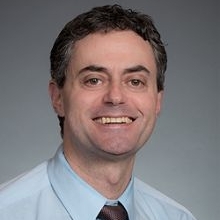 Dr. Gaster has been an educator and primary care physician at UW Medicine since 1998, where he has gained a national reputation for creating solutions to difficult problems in medicine. He has more than 15 years of experience as a clinician, teacher, and improvement leader at UW Medicine. He is designing training for primary care providers (PCPs) His goal is to educate PCP’s in how to identify dementia earlier, and how to help patients and families navigate this difficult disease.